For more than 60 years we’ve been bringing together Australians and friends of Australia to create social and support networks to help us all get much more out of our Hong Kong experience. Join us today! 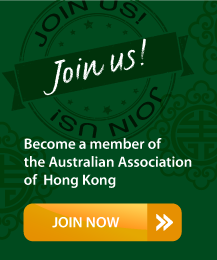 The Australian Association of Hong Kong was established in 1954 by a group of Australian expatriates. They hoped to encourage fellowship between Hong Kong-based Australians and others with an interest in Australia. The idea was to create opportunities for members and their friends to make the most out of their time living in Hong Kong. Today, we continue with that mission by aiming to create social and support networks, and build lasting friendships between people with a common interest in both Australia and Hong Kong. We do this by bringing a touch of Australia to the “Fragrant Harbour”. Our Association volunteers work tirelessly to provide opportunities to meet, socialise, and engage with and in Hong Kong through social, recreational, sporting and charitable activities. We might be Australian but, like Australia, we welcome people from all backgrounds and of any citizenship. We’re proud to say that we have members from Hong Kong, New Zealand, Malaysia, Indonesia, Ireland, the United Kingdom and South Africa just to name a few other countries.